Good news people, there is more reasons to shop, dine and enjoy happy moments with your family and friends at Cheras LeisureMall. Cheras LeisureMall dialed up its shopping experience for customers by unveiling the new MRT Linkbridge and an extended, revamped mall space leading up to the Taman Mutiara MRT station on last Friday, 26 Jan 2018. 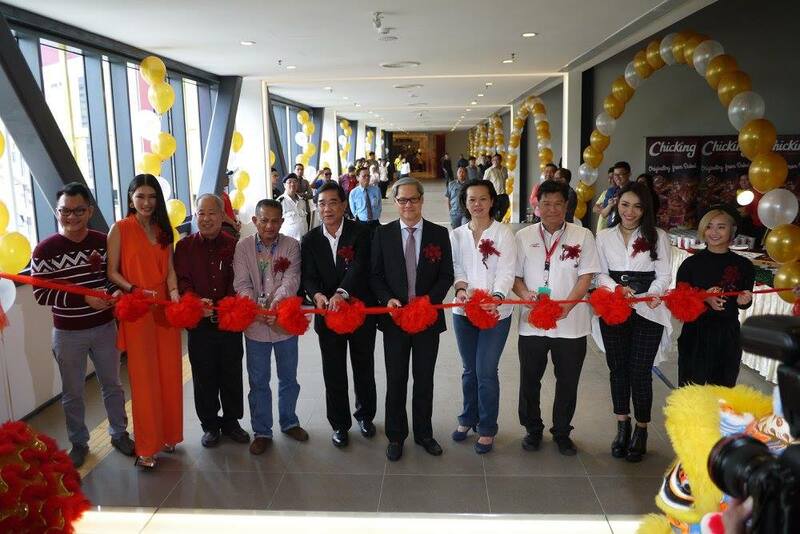 Cheras LeisureMall has always put on initiative to enhance shoppers’ experience at the Mall. 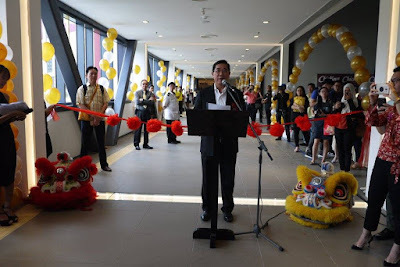 In fact, the redevelopment exercise at Cheras LeisureMall was commenced in March 2017, involved the construction of a 60-metre linkbridge connecting the newly opened Taman Mutiara MRT Station to the existing Level 1 of Cheras LeisureMall. It is also the first elevated pedestrian linkbridge with air conditioning that connects MRT Station to an adjacent shopping mall. The linkbridge enhances connectivity and accessibility of the mall to customers within and outside of the Cheras area, making it more convenient for shoppers to visit the mall. 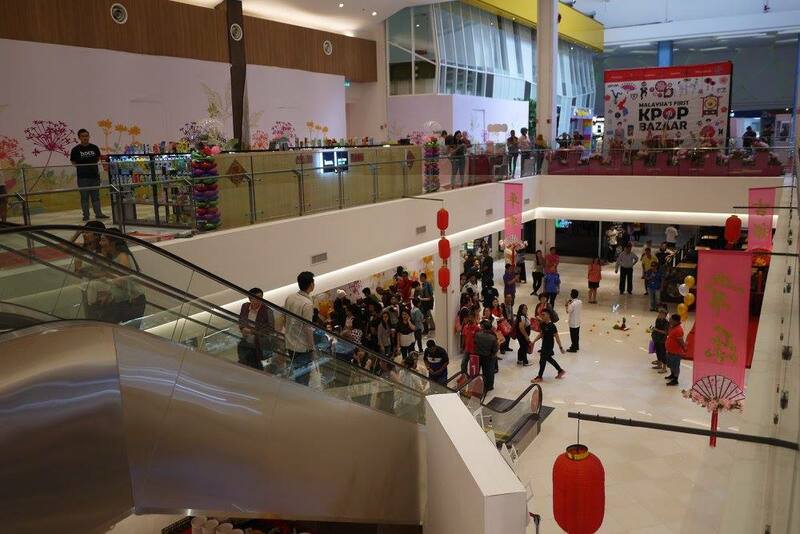 The project also saw the extension and refurbishment of both the Level 1 and Level 2 LeisurePlex of Cheras LeisureMall, adding on 15,000 sq. ft. of net lettable area aimed at offering a greater variety of retail and F&B choices for customers. With new popular outlets such as Family Mart, Mr. Dakgalbi, ChicKing, OneDeLand, Mizudo Hot Pot, Kim-zen Restaurant, ManKwonWhaBap, Natural Health Farm, Like Time and Hoco, shoppers are spoilt with choice whenever they visit Cheras LeisureMall. Shoppers can also look forward to the upcoming opening of OldTown White Coffee, Go Noodle House and Boat Noodle to satisfy their cravings for Asian-themed cuisines. We were honoured to be invited to the grand launch event last Friday. 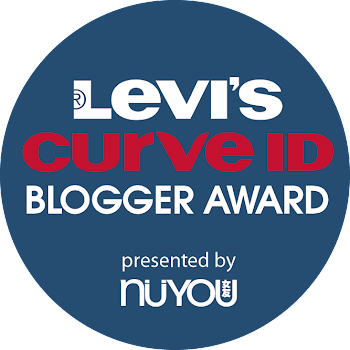 “Shopping trends and experience as we know have changed, and customers today are seeking for distinguished and unrivalled shopping experiences as reasons for them to come back. 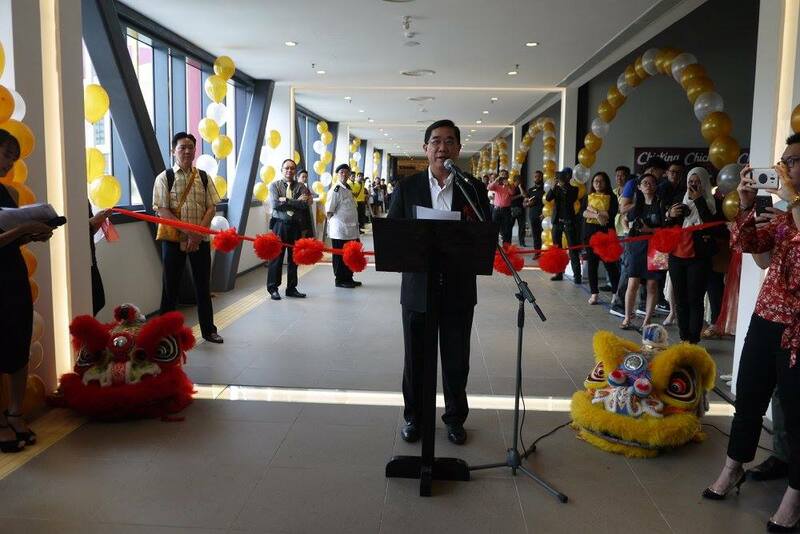 Therefore we embarked on this refurbishment, and being a community-centric mall, the additional space will be ideal for more events, promotional activities and community-driven initiatives that will bring people together for various causes.” said at the launch event, Chew Hwei Yeow, Chief Operating Officer (Property Division), PPB Group Berhad. 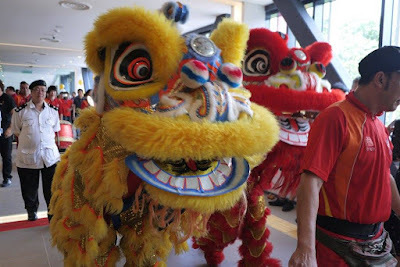 Cheras LeisureMall has been one of Cheras’ key shopping areas since its establishment in 1994, being the pulse of the neighbourhood. 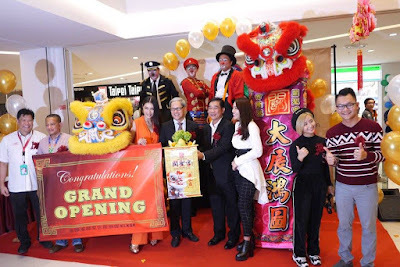 In the mall’s constant efforts to enhance shoppers’ lifestyle experience, Cheras LeisureMall also unveiled a total facelift of the mall along with a rejuvenated logo. With a newly painted exterior facade in dynamic colours and visual appeal, the mall keeps abreast with the changing retail trends and customer expectations, while making it more exciting for customers to visit. 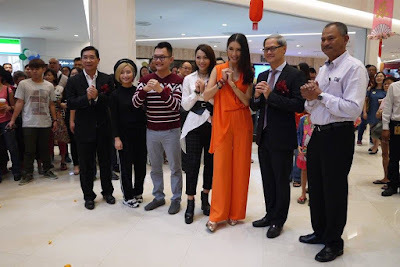 Not only that, Cheras LeisureMall will also be launching its own loyalty programme in the near future as part of the mall’s initiatives to reward its loyal shoppers, while giving them more reasons to visit the mall. What’s more, the loyalty card can be used across all shopping centres and retail outlets under PPB Group Berhad, the operators of Cheras LeisureMall. Such a great loyalty programme for the shoppers! “PPB is planning to grow its retail arm with a few retail centre projects in the pipeline – all addressing customers’ demand for unique shopping experience and a quality lifestyle. We have and will continue to delight our customers with fresh and exciting experiences in our existing and upcoming retail centres. With these in place, we are optimistic over our upcoming developments, despite the challenging market,” Chew added. The kick-off event was graced by supermodel Amber Chia, Radio DJ Liang Jin Long, artiste Nina Kho and YouTuber Akiyo, along with amazing performances by stilt walkers and clowns, interactive game booths, an exclusive K-pop bazaar as well as great opening discounts and offering. 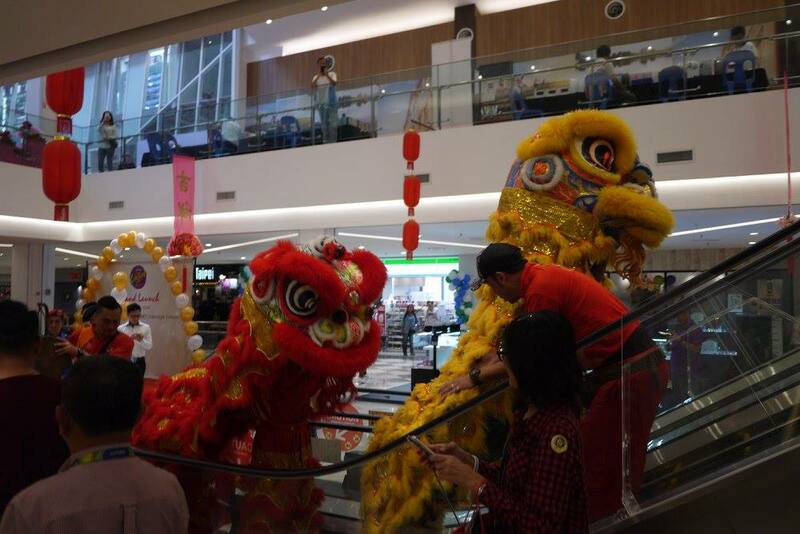 Everyone has put on a big smile and enjoyed themselves a lot at the newly revamped mall. In light of the launch, the first 200 customers to commute to Cheras LeisureMall by MRT can redeem a special edition Cheras LeisureMall Touch 'n Go card with exclusive shopping privileges. 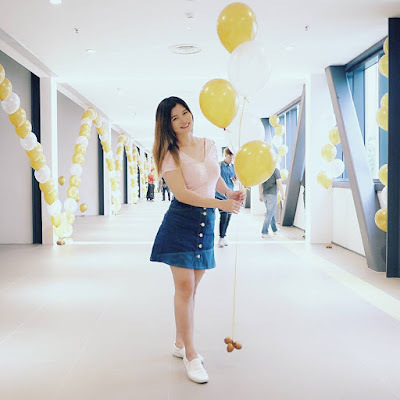 Customers who join in the celebration will also stand a chance to win attractive prizes worth more than RM10,000 which includes a smartphone, a watch, IT gadgets, as well as food vouchers by OneDeLand, ChicKing, Taipei Taipei, and ManKwonWhaBap. For more information, go to Cheras LeisureMall Website and like their Facebook Page. Dah dekat CNY dah... semua sibuk decoration mall untuk tarik perhatian betul tK?